Ex-officio members are the Rector, Reader, Churchwardens and the Deanery Synod Representatives. At St Mary's there can be up to twelve lay members of the PCC [CRR Part II (10)]. Nominated lay members must be at least sixteen years old, actual communicants and have been on the Electoral Roll [CRR Part I (1)] of Plumtree Parish for at least six months. If there are more applicants than places then an election is held at which anyone whose name is on the church electoral roll of the ecclesiastical parish can vote. Alternatively, the PCC may co-opt up to two eligible communicants onto the council [CRR Part II (14 1h)]. The Secretary at St Mary's is a member of the PCC; however they don't need be a member in which case they must be eligible to be co-opted as a member [CRR Part II (13d)]. Similarly, the Treasurer need not be a member of the PCC (as in St Mary’s case) but must be eligible to be co-opted as a member [CRR Part II (13e)]. For full details of the eligibility criteria for serving as a PCC member, see Qualifications for PCC Membership. 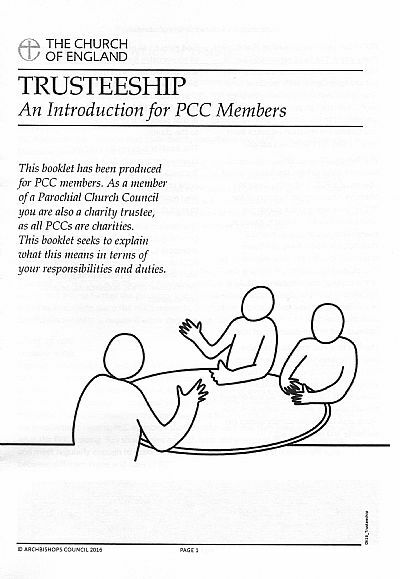 A more practical guide to the day-to-day functions of an effective PCC is contained in the Trusteeship section below. The PCC must hold at least four council meetings in each year. [CRR Appendix II (2)] The first of these occurs in April immediately following the APCM and is an abbreviated meeting used merely to elect church officers and set the date of the first substantive PCC meeting. This means that there is a minimum of three PCC meetings per year at which church business is transacted. St Mary’s PCC has resolved that minutes of PCC meetings are only made available to PCC members. However persons whose names are on the church Electoral Roll may have access to the approved minutes of PCC meetings, although how this access can be arranged is not clear. [CRR Appendix II (12) (f),(g)] A brief summary of each meeting used to be published in the Plumtree Church magazine, but this has been discontinued. Not seek personal benefit (commitment to the cause must be the main reason for serving as a trustee). 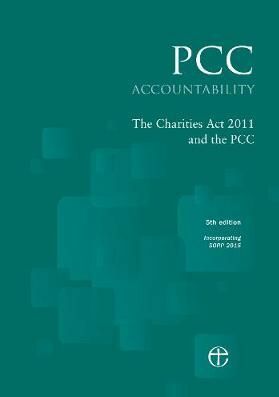 The PCC Accountability document [PCCA] describes in full the financial responsibilities placed on the PCC by the Charity Commission. The Church of England has also produced a leaflet outlining "what every PCC member needs to know about church finances". 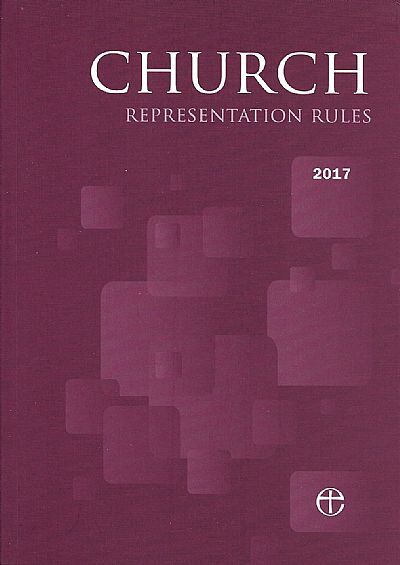 Church Representation Rules [CRR Part II, 9 (1) (b)] require 'an annual report on the proceedings of the parochial church council and the activities of the parish generally' to be received by the Annual Parochial Church Meeting (APCM). The meeting is then free to discuss it. The report is quite separate from the statement or address that the incumbent may wish to make to the APCM. The annual report will usually be drafted by the Secretary and the Treasurer of the PCC, but some PCCs may wish to involve others in the drafting. It is a significant document in the life of the church and should be prepared in that light rather than as a chore to be completed annually. For a sample Annual report which conforms to the new Charity Commission guidelines, see [PCCA (5) and PCCA (8)] or download St. Emilion's Annual Report. The PCC must adopt the report before it is presented to the APCM and it must be dated and signed by the chairman of the PCC meeting at which it was adopted. Ideally an early draft should be shown to the PCC. acts with integrity, and in accordance with its values. A printed copy of the booklet is available at the back of church. This page attempts to summarise the duties and responsibilities associated with being a member of St Mary’s PCC, so that prospective nominees can make an informd decision. However you are referred to the governing documents (see links at the top of this page) for more detail. As can be seen, there’s more to PCC membership than simply turning up at meetings intent on preserving the status quo of the church. Rather the PCC is a vital resource, crucial to helping St Mary’s meet the unique challenges facing a rural Anglican Parish Church in the 21st century.